In Off-Duty Angel, dark witch and half-demon Eve Levine is desperate for a little entertainment while her lover, Kristof Nash, is detained in afterlife court--enough to volunteer an extra week's worth of angel corps duty just to pass the time. 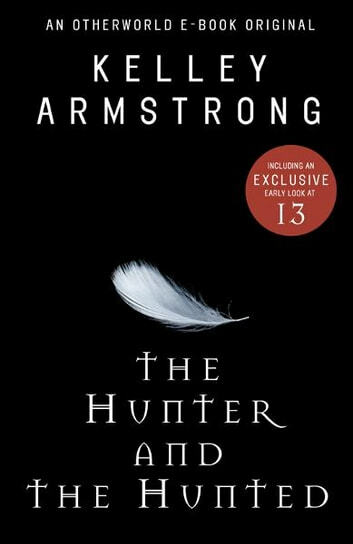 Luckily something even better comes up: a real celestial bounty-hunter mission to trail a shaman, someone who might prove to be a useful lead in Kristof's court case. Following the target goes smoothly, until he leads Eve to the British Museum, where she inadvertently steps into a secret dimensional passage and stumbles upon a far more enticing puzzle . . . and a much greater danger. Packed with suspense and surprising twists, Off-Duty Angel reveals fascinating new insights into a beloved series character. It's not a good sign when Elena Michaels and Clayton Danvers resort to everyday activities on their long-awaited honeymoon in St. Louis. But their encroaching boredom is about to take a backseat to an unexpected threat that catches Clay's attention. A non-pack werewolf is clearly stalking them--out to claim Elena for himself--and Clay has no intention of letting the upstart mutt spoil their romantic getaway, even if that means deceiving Elena as he pursues the rival werewolf on his own. Originally part of an anthology of supernatural romance stories, Stalked is the perfect introduction to Kelley Armstrong's Otherworld series and an action-packed interlude for fans to revisit some of their favorite characters. Includes an exclusive early look at 13, the epic finale to the Otherworld series, coming July 24, 2012. Two short stories - through the series, I've never really liked Clay although after reading a lot of the short stories, I do understand him a little better. The lesson at the end of the story is an important one. The Eve story is interesting. From what I read about Eve from when she was first introduced, I didn't think I would like her; surprising when she started to appear, I found I did like her. These stories while fitting in specific places in the series do stand well enough on their own that they can be read at any time. Amazing read. Kelley Armstrong always delivers. I always enjoy Kelley's short side stories, and I enjoy the occasional look into the after life. It surprisingly plays a substantial role in her series, death is definitely not the end.